And here is the final installment of the 10-part la Scena series. Endings are always difficult, and I’m not going to claim I did nearly a year’s worth of writing, nor Sistema itself any kind of justice at any point, let alone the end. But whatever your sentiments about what happens in Venezuela, there’s one thing that’s undeniable: this idea has captured the imagination of hundreds and thousands in a way nothing else has. Here’s the full text below, and the print version as well. “THE MUSIC BUSINESS might claim a long history of involvement in peace movements, but its track record is less than stellar when it comes to producing actual results. Woodstock was billed as “3 days of Peace and Music” – a promise only half kept since the event generated more mud and garbage than international accord. Efforts by individual musicians have hardly fared better. John Lennon’s “Bed In” gave legions of fans a misplaced sense of Gandhian righteousness while hitting the snooze button on their alarm clocks, but the only harmony it produced was musical, not geopolitical. And yet there’s a serious movement underway to nominate a musician for the Nobel Peace Prize. 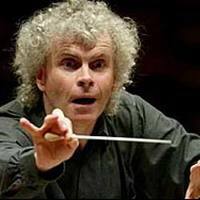 Less than one week after being named recipient of the 2010 Seoul Peace Prize, Maestro José Antonio Abreu, founder of Venezuelan’s el Sistema, was mentioned as a worthy candidate for the more famous award bestowed in Oslo – and by no less a luminary than Sir Simon Rattle. In putting forth the name, Sir Simon was somewhat apologetic, even defensive, conceding that the conflict within Maestro Abreu’s sphere wasn’t a war in the conventional sense, even if it did include weapons and bloodshed. Sir Simon need not have worried. Past winners of the Nobel Peace Prize include a first-year American President, a former Vice-president with “deadly slideshows” (his words), a Kenyan environmentalist, and a Bangladeshi economist. To say that some of these choices were contentious is something of an understatement. But what all these individuals have in common is that through their efforts they actively changed the nature of their nation’s internal and even external discourse, striking at extremism, natural disaster, intolerance, poverty, hunger, dispossession and disempowerment – the many and varied roots of war, rather than at war itself. The economist, Muhammad Yunus, is best known for his work in microfinance. 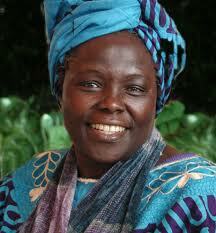 The environmentalist, Wangari Muta Maathai, founded an organization that reclaims desert through tree planting. These two in particular exemplify the idea that small gestures and small actions(small loans or small saplings) can profoundly and positively change society. The underlying ideas are neither sophisticated nor complex: rather, it is their simplicity that makes them potent. In that light, it’s difficult to think of a more deserving candidate than Abreu. His idea was as straightforward and as powerful as those of Yunus and Maathai: bring young people together to share challenging artistic experiences, inspire them to cooperate and collaborate , and they will apply the derivative values to every aspect of their lives. Rather than viewing the orchestra as a bastion of elitism or cultural colonialism, Abreu turned it into a framework in which a broader sense of social responsibility is instilled. He rejected, if not completely inverted the established music pedagogy paradigm: instead of emphasizing the development of artistic excellence in the individual, he focused on crafting strong, supportive musical communities first and foremost, knowing that they would in turn foster strong citizens. An important voice - but enough?